This group was able to come in second this year in the NESBA competition and won a Platinum meddle for their show ” Turning the Tables”. Receipts for music camp truck and bus rentals have not been reimbursed by NPS. C. Moen to investigate. E. Ferris has submitted original receipts for MB truck rentals to be reimbursed by the treasurer. The PMA will then submit an invoice with original receipts to the NPS for reimbursement. There is an outstanding invoice from Reading for the Jazz Classic (Feb. 2016). A second invoice will be sent. Time to start planning the Fine Arts Semi and look at available dates in February. Jazz Night will be scheduled once we receive available dates from Four Points. Jazz Classic will take place 2/16/17. Music Note Fundraiser: To be sold at CMS Parent Open House on 11/17. MICCA Ensemble (Trio) has been invited to perform that evening. Cookies with logo: Discussed ordering sugar cookies with a music logo from wickedgoodcookies.com to sell at events. It was very successful event. Merchandise sales were strong with $525.30 in sales. Two bands have not submitted their payment. Gate was down from last year, but we had some small bands and one less band than usual in attendance. Concessions sales were lower, but a lot less money was spent upfront. The amount of food was on target with very few left overs. T. Jones acknowledged all the wonderful, hard working volunteers. 6. Music Camp: No Report. C. Moen to look into dates for next year. Madrigal Banquet: December 2, 2016 at the Elks. Tickets on sale now. There is a $500 rental fee. Inform Ed of any activities or events that need to be publicized, such as the Madrigal Banquet and Madrigal/Celtic Strings Holiday Tour on 12/22. April Vacation Trip: Has been cancelled due to lack of interest. The trip conflicts with the Drama Festival that Norwood is hosting over April vacation. Deposit checks will be returned. Need to start planning now for next year’s trip. Fundraisers are needed so students can raise money for their student accounts to pay for the trip. C. Moen suggested a raffle with a cash prize. Discussed that students have not been very active participants in fundraising events over the past few years. Now that the fundraiser is for a trip, students may feel differently about it. Student liaison to PMA: Freshman Rep, Robin Jones, will attend the December meeting. She will speak to the other reps about rotating to attend a portion of the monthly PMA meetings. Auditorium Seat Fundraiser: The seat dedication fundraiser is being offered once again. There was not a strong response from the business mailing. Spread the word to new members of the PMA. James Hayden, Supt. of Schools to retire: C. Moen has applied and has been accepted to be on the selection committee. Still do not have power in the MB shed to provide a charging station for the golf cart. Purchased an annuity in 2002 with a fixed, guaranteed interest of 3%. It is owned by the PMA, but is attached to Ann Cirillo. It dissolves in 2050 or upon the death of the name holder. Discussed dissolving the annuity and investing in a Municipal Bond (interest not guaranteed). Quorum: 2016/2017 PMA Board, there are eleven (11) voting Board Members. In order to have a quorum, six (6) Board Members must be present. 15 . Adjournment at 8:30 pm. Minutes respectfully submitted by Stacey Lane. The merchandise line item will roll over to the next budget year in order to provide funding to replenish merchandise as it is needed. Time to start planning the Fine Arts Semi and look at available dates. MAJE State Finals to be held in Norwood on March 18, 2017 with a snow date of March 19, 2016. Mattress Sale: September 24, 2016 at NHS. Sold 30 mattresses with 16 student referrals raising $3650 for the PMA. Thank you to the numerous choral students who volunteered. October 16, 2016: Eight bands will be attending. The menu was approved (hotdogs, pizza, nachos, apple crisp, hot chocolate, coffee, soda, water, candy). Concessions will be located behind the bleachers. A volunteer is needed to pick up donated hot chocolate at Mr. Franks at noon. Roche Bros has donated $150 for the purchase of the hotdogs and rolls. Numerous volunteers will make apple crisp and chili. Jackie Smith will be the announcer. The judges (10) will need lunch and coffee. The NHS MB/CG students will have Mac & Cheese made by Mrs. MacDonald at 12n in the café. Madrigal Banquet: December 2, 2016 at the Elks. There is a $500 rental fee. Will see if they offer a member rate. The OCC will cater the event $21.95 pp plus 20% gratuity. Need to purchase candles, poinsettias and other supplies. MIT has invited a limited number of NHS music students to participate in the MIT Wind Ensemble Prism Concert on 12/2/16 at Kresge Auditorium from 8-10pm. Admission is $5. Conant will invite the CMS students to play with the MB/Pep Band at a future game. Inform Ed of any activities or events that need to be publicized. Send him pictures for the PMA website. PMA scholarships: Received thank you notes from scholarship recipients: Shannun Carey, Katie Kohlsatt, Mikayla Metcalf and Amber Chisholm. April Vacation Trip: Down payments due 10/15/16. Not much student interest to date. SE District Festival: Norwood was asked to host District’s on January 6-7, 2016. The host school receives $1000 and any money raised through concessions, flower sales, and merchandise sales. The SE Districts receives the gate. A hospitality room will be needed for the Directors (paid by SE District). Will need help from the PMA and college students home on break. Student liaison to PMA: C. Moen would like to have student liaisons (one choral & one instrumental) attend a portion of the PMA meetings to provide input and take back information to music students. There is a Fine Arts Representative on the Student Council. If the music students are involved, it may help students take ownership of the program and become more involved in fundraising and other activities. McAvoy Fundraiser: Singer-songwriter, Mary McAvoy, PMA fundraiser concert took place on Friday, September 23, 2016. Ms. McAvoy generously donated her proceeds to the PMA. Discussed donating a music sweatshirt and other items for a basket to be used as a raffle to benefit the F.F. Fay Scholarship. Lawrence Marching Band Field has been destroyed and will not be available for MICCA and NESBA shows. The NESBA Finals have been relocated to Medford Hormel Stadium. The MICCA Finals have not been confirmed, but may take place at Plymouth North High School. 15 . Adjournment at 8:50 pm. Unfortunately this trip has been cancelled. Anyone who sent in a deposit will get their check back. The timing for this did not work out well with the start of the new school year. Mrs. Moen is looking into options for the following year. This proposed trip to Nashville & Memphis has been a long time coming and is sure to be a great trip. Its not set in stone yet but it’s planned for this coming spring given enough interest from the students. If you are instested in going or learning more about the trip you can contact Mrs. Connor-Moen at the high school. McAvoys: Singer-songwriter, Mary McAvoy, and her father, Phil McAvoy, in attendance to plan for the upcoming PMA fundraiser concert on Friday, September 23, 2016 at 7pm to 9pm (with intermission) in the NHS auditorium. PMA will help with promotion and selling tickets ($10). Concert information has been posted on the PMA website and on Facebook. Posters will be hung-up at schools. C. Moen suggested putting a poster on an A-frame. Concessions will be sold (water ,candy). Conant to work sound system. Discussed selling General Admission tickets at door and advanced ticket sales through “Event Bright”. In addition, students should be given tickets to sell to family and friends. Discussed advertising at the Cinderella musical this weekend. P. Campbell will hand out flyers at the musical. Scholarships have been dispersed to recipients. 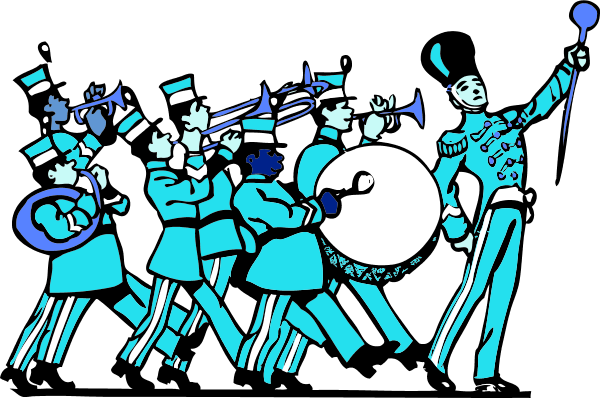 “Truck and Trailer Expenses” line item will have a name change to Marching Band Expenses since it pays for general marching band expenses. Camp Tapawingo, Sweden Maine-August 14-20, 2016: The PMA subsided $160.14 per student for a total of $11,209.90 leaving a negative balance of ($4,479) in the Music Camp Fund line item. There are numerous boxes of old papers/documents that we no longer need. Discussed disposing of the documents we no longer need. Concerts on the Common/Summer Fest: Does not raise a lot of money and it a lot of work. It does provide visibility for the music program. More volunteers are needed over the summer. Mattress Sale: September 24, 2016 at NHS. Marching Band students and parents will not be available to help since there is a show that day. Lunch Trampoline: Fundraiser information provided. a copy of the menu to send out to the music directors. Discussed placement of concessions and the possibility of having it in the café. S. Conant advised against having concessions inside and will help Tracey find the best location. A police detail is needed. Student volunteer sign-up will be posted. Discussed sending an email to the Athletic Director to invite the football team and cheerleaders. Cinderella Musical: Opens this weekend, September 15-18th. Robert McDonaugh has done an incredible job with the production. Pops Night: May 13, 2016. It was a great success. The music teachers have met and will announce the theme of this year’s concert soon. April Vacation Trip: A parent informational session will be scheduled to plan for the trip to Memphis. Instrument Registration: Took place at elementary schools and CMS. Very pleased with turnout. Steve Conant: MAJE State Finals to be held in Norwood on March 18, 2017 with a snow date of March 19, 2016. Discussed getting a PMA debit card, credit card or prepaid Visa to be used to rent the UHaul for MB Shows. P. Cambell to investigate which one would be best for the organization (cash back incentives). In the meantime, C. Moen will use her charge card to rent the UHaul Truck. Secretary of State Change of Officers Form to be sent to the Secretary of State as required. 15 . Adjournment at 9:05 pm. Superintendent of Schools, James Hayden, has implemented a new policy to require the fingerprinting of music camp counselors effective August 1, 2016 (2016 Music Camp). Since the policy was made after the counselors were selected, Cathy Moen thought it was unfair to have the counselors (mostly college students) pay the $35 fingerprinting fee. The counselors were informed that the PMA would reimburse them for the charge. The PMA has not seen the new policy and would like to have a copy in order to share it with counselors next year. Moving forward, counselors will be informed that they are responsible for the $35 fingerprinting charge. It was pointed out that this year was costly because all the counselors needed fingerprinting. Next year, many of the same counselors may return and will not need to be done again. Only new counselors would need fingerprinting. Teachers and staff are responsible for paying for their fingerprinting. Discussed concerns that the policy may expand and require fingerprinting of chaperones and other music volunteers. The PMA does not want to be responsible for paying fingerprinting charges. The expense may become too burdensome. Discussed sending a letter to Jim Hayden, requesting a copy of the policy and informing him of the PMA’s concerns. The Marching Band show “Turning the Tables” needs a 12 foot, functioning turntable. The turntable needs to be strong enough to hold students while slowly turning. Also, it will have to be portable. Ferris requests the help of parents to build the set, donate supplies and help move the set onto the field during shows. The building of the set will take place starting next week (Labor Day weekend) in the lot near the MB storage shed. James Bowers has offered to help. Two (26 ft.) trucks will be needed this year to travel to competitions. Ed Ferris withdrew his email motion made on August 18, 2016 for the PMA to fund $700 for material costs for the turntable project for the marching band show. The marching band golf cart battery was failing to hold a charge. It was discovered to be a problem with the golf cart computer and not the battery. Ed Ferris paid $467.69 to have the repairs made by Extreme Cart. Ed had conversations with two possible sponsors: Extreme Cart and Bobby’s Auto which may defray a portion of the repair expense. Friday, September 23, 2016 at 7pm in the auditorium. Mary will have a clinic with the choral groups and they will sing a cover with her. PMA will help with promotion and selling tickets ($10). The event is posted on the website. Posters will need to be made and placed around town. Discussed selling General Admission tickets at door and online. September 10, 2016. Volunteers are needed to man the table, sell merchandise and promote the music program. A volunteer sign-up sheet was distributed. September 24, 2016 in the NHS gym. The marching band students and parents will be at a MB show that day. The mattress company has staff for set up and sales. In the past, MB students/parents sold music merchandise and greeted customers. A day in the life – Music CAMP 2016! Morning, Time to get some food and get to work. Working on blocking, where do I stand? Sun is setting, time for dinner, more rehearsal, and the evening social. ***Camper’s medications should be individually dosed in envelopes with day and time for administration and include original package or container with pharmacy label or campers name on it. All placed in one gallon ZIPLOCK style bag with you camper’s name. Raincoat, poncho, rain boots – dress for the weather! Please do send more than $20.00 the only opportunity to spend it will be on the ride home at the rest area. Please let me know of any Senior night reservation changes as soon as possible. I know we are all preparing for Band Camp this weekend and looking forward to a great season this fall. I am preparing to outfit all the kids for the season and will start as soon as they return from camp. 1. Attached you will find an order form for T Shirts, Shoes and Gloves. Please complete this form and return it by August 29th as I need to place the order. T Shirts: Every student needs at least one. I recommend two, as they must be worn every time the student is in uniform. ON weekends with a show on Saturday and Sunday it is helpful to have a clean one ready to go. Shoes: There are a limited number of shoes available without charge. I can not guarantee we will have a pair for your child, although I will make an attempt to fit your child with what we have. If you wish to order your own pair, this form will cover that. Every student needs at least one pair of gloves. New students need to order a pair, exiting student will know if theirs need to be replaced. 2. Fitting your child for a uniform. I will begin this process after they return from camp. If either you or your child is uncomfortable with me measuring them for their uniform, please complete the attached form and either email it back to me or have your child bring it to practice after band camp. 3. Volunteers Needed: After the start of the school year, I will begin to seek volunteers to help chaperone the shows. Please let me know if you would like to be included in the requests. Also, if anyone is available to help with the uniform fittings, I would greatly appreciate it. Thank you. It is going to be a great year! Music camp is three weeks away and preparations are being finalized! We meet for for departure preparations at 8:00 AM on Sunday August 14, 2016 at Norwood Senior High School. Please enter through Door 14 at the back of the high school building. Parking is available. We have a large Senior group attending and we will have our Senior Night on Friday, August 19th. Attached to this email is our Music Camp Bulletin, packing list, itinerary, and expectations for behavior. If you have any questions please contact me at via email at Lisa Stilletti or contact Mrs. Cathy Moen. This is the Monthy PMA meeting. All parents, teachers, and students are welcome.